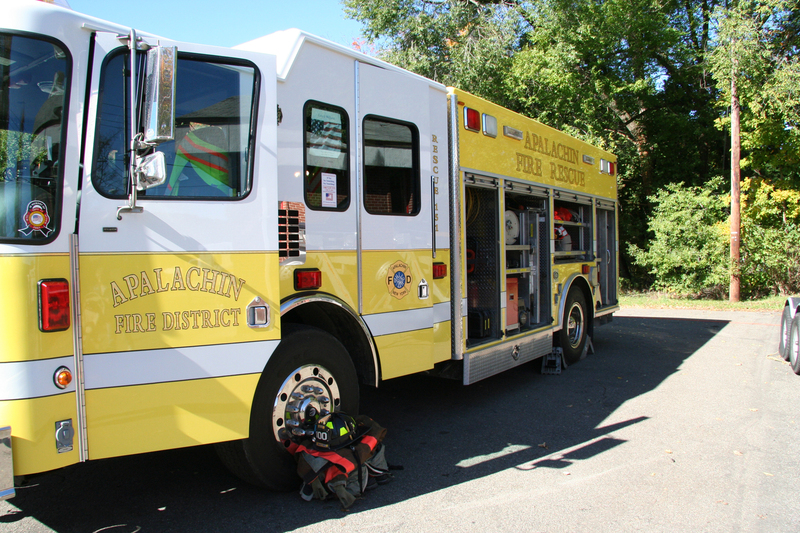 Our largest engine, 103 is a 2007 pumper/tanker, capable of moving 1500 gallons of water a minute, and carries 1500 gallons of water. 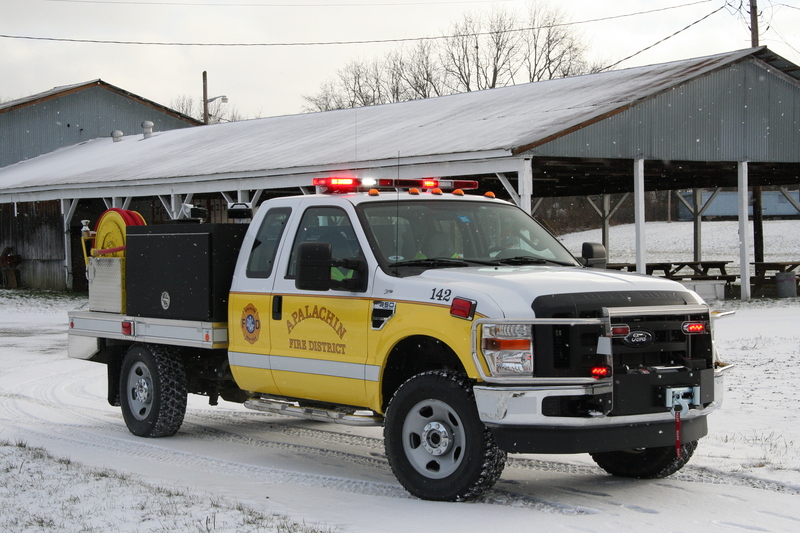 152 is our ALS first response vehicle. It carries everything our Advanced Life Support providers need to quickly assess and stabilize critical patients. Our other engine, 101 is a 2000 pumper/tanker that carries 1200 gallons of water and can also pump 1500 gallons of water per minute. 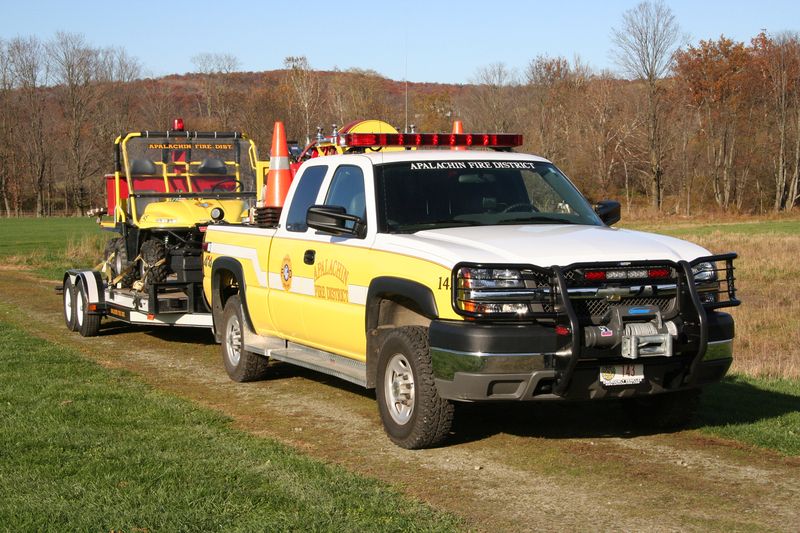 Brush 143, stationed in our South Apalachin fire station, is a 2004 Chevy pickup fully-equipped to address brush fires in our district. It tows an ATV that also carries supplies and water for fighting brush fires. 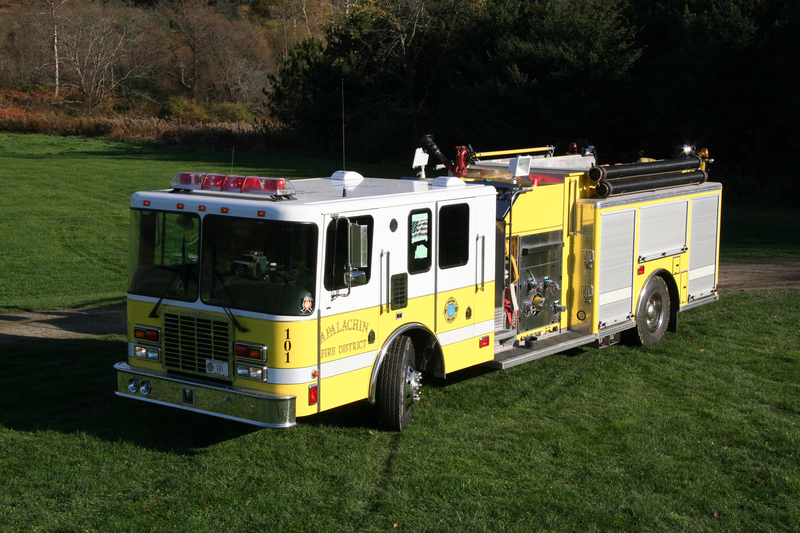 Rescue 151 is a 2001 heavy rescue vehicle. It carries a huge assortment of tools that can be used for vehicle extrication, high and low angle rescue and support equipment for fire suppression. 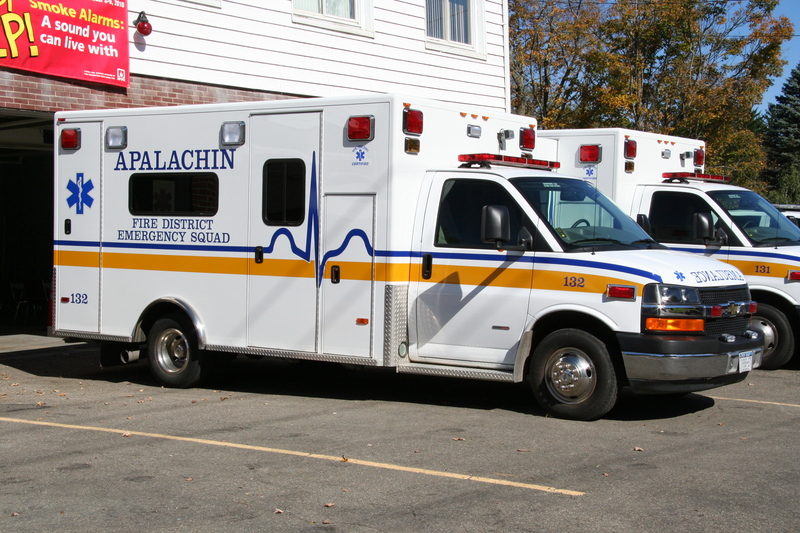 Our twin ambulances 131 & 132 are 2007 Chevy Type III ambulances, fully-equipped for Advanced Life Support. Brush 142, our newest brush truck, is a Ford pickup truck that carries a heavy-duty brush pump and enough water to tackle brush fires as well as grass fires along our highways. 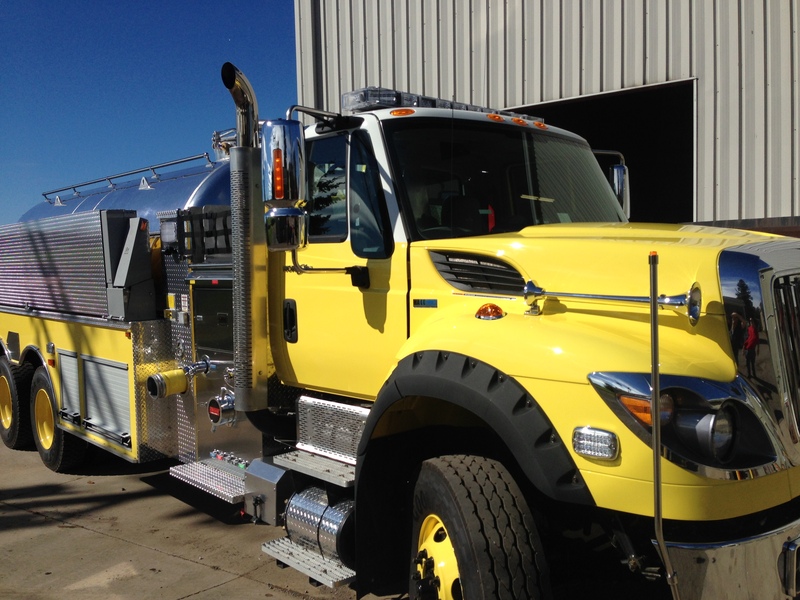 Tanker 121 was acquired in 2013 and upgraded our department's water capacity by doubling it. With it's 3500 gallon capacity, as well as 1000 gpm pump, it can deliver enough water to a scene to fight a fire over a long period. It's also a vacuum tanker, which greatly expands it ability to collect water from streams and ponds.